Following the success of the Novosco Camp 2016, 2017 and 2018, we are delighted to announce Novosco Camp 2019. 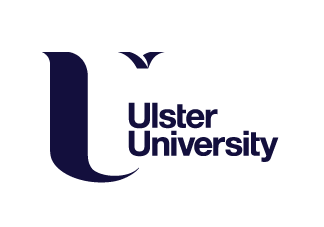 We will be partnering with Ulster University again to hold the camp at Ulster University's Jordanstown Campus. Novosco Camp 2019 will be taking place between Monday 29th July - Friday 2nd August 2019. Novosco Camp is part of Novosco's commitment to developing Northern Ireland's IT talent for the future of the industry and is a significant opportunity for you to enhance career prospects. Aimed at 16-17 year old students interested in a career in IT, Novosco Camp is free and provides valuable hands-on IT infrastructure, software and security experience with professional IT engineers and lecturers. The experience and skills I gained at Novosco Camp 2018 prepared me in applying for a Computer Science course at University – the Camp gave me exposure to the software and hardware that is used and allowed me to be a step ahead in semester one. The most valuable thing about Novosco Camp was that I met other like-minded young people that were interested in perusing a career in I.T. Attending affirmed my decision to apply for University. Victoria Johnston, Carrickfergus Grammar School. Novosco Camp was a fantastic experience for me as an IT GCSE student. Being taught by some of NI's best experts, it was a great introduction to a field in which I want to work someday. We learned how to use a Raspberry Pi (something I had struggled with previously) and even managed some HTML programming and created a virtual server. It was a very motivating and inspiring week and has made me sure of my further study and career path after A Levels. Rachel McGarry, St Dominics Grammar School, Belfast.